What? Why? What is this? Is this real? Is this Hell? Turns out it's a whole series they did lol! OK that Captain Planet one was great. Poor kid still just gets the lame "heart" power. Is anyone still using Miitomo? It was a fun app that seemed to burn bright and quick. When I first downloaded it, it took a couple days for others to install and us all to find each other, but it seems like no one is using it anymore. Part of its charm was in the questions it asks you, but I wonder if that's also part of its downfall. If I have a random thing I want to post to a social network, I go to Twitter and/or Facebook and post it. Miitomo doesn't work that way, so I'm not as inclined to use it when "inspired." What are your thoughts? Will Miitomo continue its initial popularity, or will it dwindle as people try it and then move on to something else? I head back every couple days. I think it's a fun thing to do every so often but I don't go back many times a day anymore. I wish I could be friends with people yet for some, get less notifications from what they say. Hopefully Nintendo adds more social and gamey elements to it because it's a good first drop and I do like it. I've literally answered all the available non-repeating questions so it kinda lost its charm. Plus it gamifies adding tons of friends, and if you do that you don't see the people you really care about, and if other people are doing that nobody sees your stuff. Some things are really neat though. I'm hoping the 1.1 version might fix a few things. As it stands now I don't care much about it anymore. Same boat. It had lost its charm. Nice pic! Speaking of, the option of composing pics is pretty cool. The whole thing is a neat idea, but there does need to be another hook. Miitomo Drop is shady as f$&@. I'd be curious to know how many people have actually spent real money so far. If Miitomo was just slightly more like Animal Crossing, I'd be on it more often. @Will_Ball are you one of the six or seven Wills on my friends list? scrypt: I've won quite a few outfits with Miitomo drop, but I may be in the minority here. That said, you can buy in game tickets and gold and I am not sure I know anyone who's bought anything in game but I bet many have. I'd love to see how many and how much but I am not sure if Nintendo posts those numbers. I tried for that Ninja sword for like 18 tickets worth, and never got it. I got a ton of other stuff though. You know.... for the ummm.. upcoming Miitomo-pocalypse. Some people will be roasting rats over an open flame but not this guy! I was not aware of this game show, but as a 90's kid, it would have been my favorite, easily. If you've not seen it before, I recommend you check it out. It's pretty "rad." At least check out the theme at the beginning. I __LOVED__ video power as a kid. I watched it as much as I could and really wanted to be on the show. The best part was at the end when the kids ran all over the place and grabbed whatever games they could. I always dreamed about how awesome that would be to be able to grab as many games as possible. Watching this show is something else, I had the intro memorized and wow it's got that incredible 90's rap thing going for it. I wonder if this guy was hyped on Coffee, he is really amped for each take. Never really noticed that as a kid, I was just really excited to be watching it. They guy with the guitar isn't actually playing it. The music is all beats and keyboards. He looks "Polly Shore Amazing" holding that guitar though. This is so incredibly 90s. I had forgotten this show existed. I wanted to go through that course and grab games. I remember as a kid being annoyed with kids getting terrible games and passing up great ones. At least the winner in this one got Duck Tales and Batman, two of the best. The commercials in this are amazing. I remember some of them. That Honey Nut Cheerios commercial hit me right in the nostalgia. And wow, the "fashion" choices, and the 90s mullets. I was a 90s kid, basically. Born in 81, but I came into who I am in the 90s, and feel the most attachment to that decade. It doesn't seem that long ago, but things like this show just how far back that was. Huh, I wonder if this was the start of eSports. I think it could have been an early start to eSports and I think the Wizard and the Nintendo World Championships really helped that along for sure. Having the commercials really does make this video something very special, I remember many of these. I always thought that eastport pack was something really cool but it was just a bag that had a Gameboy in it. Can You Tell Me How To Get, How To Get To Greenland? Plague Inc. is a strategy-simulation game in which the player controls a plague which has infected patient zero. 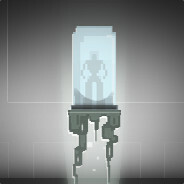 The player can choose between various game-modes, plagues and viruses, and complete the objective set by the game-mode by evolving the plague and adapting to various environments. The objectives include, but are not limited to: Infecting and killing the world's population with a pathogen, enslaving the world's population with the "Neurax Worm" or converting the world's population into zombies with the "Necroa Virus". However, there is a time pressure to complete the game before humans, the opponent, develop a cure for the plague. I just discovered this game (it came out in 2012 originally) and have been really enjoying it! Basically you start off with a disease (depending on the level you're playing it could be a bacteria, a virus, a fungus or many other pathogens, each with different abilities) and you control how it evolves to infect and kill the entire human population. As your disease progresses, humans will notice it. If you develop your symptoms too early, the humans might find a cure before you have time to spread to everyone. But some symptoms also help spread the disease quicker, so it's a fun balancing act to find creative ways to kill everyone off. In addition to the standard play modes, there are really unique scenarios. I played one called Santa's Little Helper. Here's the synopsis in game: The world is dark and gloomy. Boring governments worldwide have banned holidays, laughter and celebrations. Humanity has forgotten how to have fun - people dress in grey and spend all their time working. Luckily, the Neurax Worm has teamed up with Santa and is determined to infect the whole world with joy and happiness. In this scenario, you try to infect everyone with a brain controlling parasite that causes them to be happy. If people get too happy, the government notices and tries to find a cure. You can send planes full of "presents" from infected countries to uninfected countries to spread the parasite faster. Other scenarios I've played have included a resurgence of the Black Death and the Simian Flu (from the new Planet of the Apes movies). In the Simian Flu, not only are you mutating the virus to spread and kill humans, but you also can work to increase ape intelligence and lethality. Unfortunately the Simian Flu scenario was just a sampling. I'll have to buy the various scenario expansion packs eventually. I don't normally spend money on mobile games, but this is one I think I will. There's so much variety in play on this, I think I can get a lot of bang for my buck. I definitely recommend checking this game out if you haven't yet! This is 99 cents on iOS and I just picked it up. If you can get it for a buck, I seriously recommend it. The tutorial is very good and it's not too hard, but don't let it fool you, normal is much more difficult. After a couple games I got the hang of things and generally lost under two scenarios: 1. I killed everyone except a couple people in some countries(I wasn't strong enough to infect) or 2. I infected everyone on earth but my disease wasn't strong enough to kill everyone before they found a cure. Finding that balance is a fun thing to figure out and I finally did and my disease "Sauron" wiped out everyone on earth, so yay! It unlocked a new game mode and a special ability and it seems the more I win the more I unlock. This is available on Steam and is $15 and seems to be the same game, but I am not really sure about that entirely. Well worth a dollar if you are looking for a very fun strategy game where each game lasts a handful of minutes. I've never actually played any of the Five Nights at Freddy's games, but it's been fun watching MatPat trying to dissect the story as the games have come out. He finally believes he has the story finally solved. And of course, now that the story is "solved," there's a new image at http://scottgames.com/ that hints at more on 12/22/15 lol. #‎Hearthstone’s third adventure, the League of Explorers, has just been announced at #‎BlizzCon! Looks like it'll be similar to the Hunter's Tracking spell? Did you pick it up? I have some guesses as to what cards will be used more. What are you finding works well from this adventure? It seems like this came really quickly, from announcement to launch, compared to the Tournament cards. It did. I wonder if we should expect two expansions a year from now on? I did pick it up. 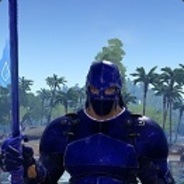 Waiting for week 2 content! So far the scarab is better than I expected. a 2 mana 1/1 that gets you a random 3-cost card.. I thought eh, a Novice Engineer is probably better as it gets you a card from your own deck at least. But I like the scarab a lot and lets you choose a card to fit the situation. Reno Jackson is fun when you're at less than 5 hp and heal to full. I don't particularly like being forced to singleton cards though. Mage is abusing Reno by using the duplicate secret and the copy all creatures card. I had 4 copies in my hand one game lol, but still lost to not having a good closer. I like Explorer's Hat, works well in the lock and load hunters deck I made to keep me up with spells to cast. I haven't abused Djinn of Zephyrs too much yet, but I can the see value, and a 4/6 for 5 isn't the worst if it comes with free potential spells. Was awkward once when I cast control magic on enemies creature and it copied the spell to my Djinn...which then made it not able to attack that turn (treated it as just coming under my control). I've attempted to use Djinn in both a Druid and a Shaman deck. I've not found it very useful yet, but I'm still experimenting. I was rocked during one battle by a summoning stone. It was awesome to see. The scarab looked like one of the more useful cards from the set. Small cards that do useful/unique things are always in style. 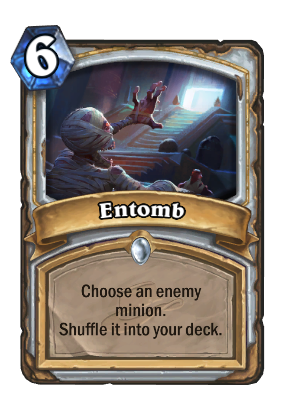 So I got the new Entomb card today.... so happy for it. 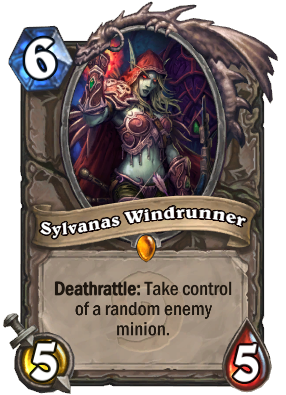 I used it on enemy Sylvanas today that had taunt on it... oh the joy! So am I right in reading that card in that it's a form of removal that puts it in your deck? If so... I need to pull out my best Bill and Ted voice for a "Whoa" because that's seriously cool. And yes, the card removes it from the board and shuffles it in... I mean, best removal card ever! It costs 6, which is a lot but the effect is incredible. Keep Talking and Nobody Explodes Multiplayer Fun! Jack and Rich (from Previously Recorded and RedLetterMedia) play the game Keep Talking and Nobody Explodes. This is also their first stream with a "facecam." The game requires two players, and you need to print out the Bomb Defusal Manual. One player looks at the screen and describes the bomb to the second player who looks through the manual to figure out what is needed to defuse the bomb. It has a time limit and will explode if you make too many mistakes. This game looks like a ton of fun. Watch Rich and Jack play it a bit (you can just skip ahead to around 7:30 in the video to see the gameplay. Saw this at PAX, and it looked really cool. Good idea for a Roundtable game!